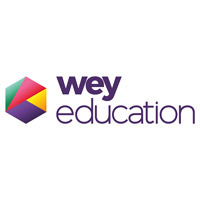 Wey Education plc (LON:WEY), the online educational services group today updated the market on the result of a strategic review and current trading as well as advising of a potential acquisition. Wey Education has been expansive over the last few years, developing a range of brands and services to be delivered in overseas territories, particularly Africa and China. Much of the work in these locations was undertaken by Wey’s previous Chairman and Chief Executive Officer, David Massie personally, relying on his experience and contacts in the relevant regions. Since David’s recent sad passing, the Board has carefully reviewed the Group’s strategy in the light of the new circumstances it now finds itself in and concluded that a more focused approach is in the best interests of stakeholders. The market for online education is clear to the Directors and it is evident that we can be ambitious in growing the business in the two areas in which we have established business, relationships and which are, before the addition of the public company overhead, profitable. Both InterHigh and Academy 21 have started the financial year with strong performance in advance of the Group’s expectations. The Board has decided that all Wey Education’s business will now be provided by either InterHigh, which is an online secondary school or Academy 21, which provides alternative education services to business or state entities. It is those brands under which Wey will expedite its marketing strategy. In respect of overseas operations, the Group, (which has always had a level of international business) has decided to simplify its offering and to clarify the relationships it has with third parties. Unless compelling reasons dictate in future, the Group intends to deal with overseas partners as a sales channel, rather than pursue further opportunities for joint ventures and more complex arrangements. The Directors believe there is substantial scope for International business, both for InterHigh directly and its new corporate offering where the Group has recruited Khurshid Khan, an experienced senior sales professional with a background in education technology sales. There are some one-off costs of processing the changes in branding, investments in overseas infrastructure and the closure of the Group’s London Learning Centre and these costs will be expensed as an exceptional item in the Profit & Loss Account in the current financial year. As a result, the Group will be simpler to understand both in the investment markets and the education market. Following this strategic review, Group turnover for the year to 31 August 2019 is expected to be substantially below current market expectations. Turnover is, however, expected to be in excess of £5m, representing an increase of over 24% on the year ended 31 August 2018. Expectations are that the Group’s loss before tax for the year will be somewhat greater than in 2018 due to the factors described above. The costs of the overseas and business expansion ventures will therefore not impact future years, leading to expectations of profitability on an ongoing basis from the financial year to 31 August 2020. The Group is extremely well funded, having in excess of £4m cash at bank as at 31 January 2019 and is expected to be cash generative from ongoing activities. To repeat, trading in InterHigh and Academy 21 has started strongly in this financial year. The Board does not believe that this new business focus should prevent it from being ambitious in growing InterHigh and Academy 21 and part of this year’s costs will be attributed to increases in expenditure on sales and marketing activities. With a view to its new strategy, Wey is in the process of finalising Heads of Terms to acquire a small (turnover c£0.5m) UK online education business focused on Business to Business provision of online education, which will complement and enhance our existing Business to Business offerings. The acquisition is scheduled to complete in time for the commencement of the summer school term. A further announcement will be made in due course. The Board has confirmed the appointment of Jacqueline Daniell as Chief Executive Officer and Barrie Whipp as Chairman. Jacqueline founded both InterHigh and Academy 21 and has a deep understanding of both businesses. Barrie has been a Non -Executive Director of Wey for approximately three years and is an experienced public company Chairman.